Can the Rabbinic council and tradition hold the authority to overrule God's words and scriptures? How does orthodox Jews see rabbinic disagreements and on what basis do believers determine which school of thought to follow? Does majority decides what is truth, and since even today there exist many different branches of rabbinic interpretation; how can we decide when there is no majority decision for settlement exist when the dispute began. And if Rabbis have authority to overrule God's testimony, doesn't that make them above God and his scripture? For example, we read in Baba Mezi'a 59b that Rabbi Eliezer was wrongfully condemned and excommunicated due to losing in a dispute from majority voting. Was such excommunication permanent or short term punishment? It says that the majority were defeated him by overruling scriptures, denying God's own testimony, arguing that "one must side with majority" by twisting Exodus 23:2 which says the opposite. The footnotes says he took the punishment of mourning in his humility and peace loving nature. (Was his submissive decision right?) Then how can we decide majority decision of the council or rabbis is always right, and they have not perverted God's words in their tradition, or broke the chain of interpretation? How can rabbinic tradition, interpretation and authority can be trusted in such instances where men prove to be sinful and imperfect? And if were right then it shows the council of majority have authority to overrule God's words; can even change the Torah. Moses received the Torah from Sinai and transmitted it to Joshua; Joshua to the elders; the elders to the prophets; and the prophets handed it down to the men of the Great Assembly. The men of the Great Assembly are the Sanhedrin, the rabbinic body whose deliberations are recorded in the talmud. So the first point is that God gave them the authority to interpret halacha. In the "oven of Achnai" incident in Bava Metzia, R' Eliezer offers various proofs of his position that are not "kosher". 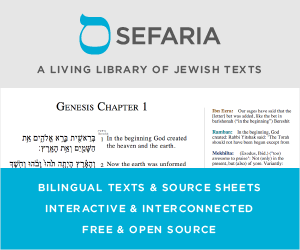 Halacha provides rules by which the rabbis can interpret and expound torah and halacha, and they do not include carob trees walking across the field or streams running backwards. R' Eliezer was trying to follow different rules and the majority voted him down because of it. How does orthodox Jews see rabbinic disagreements and on what basis do believers determine which school of thought to follow? Individual Jews don't decide. We have a system of authority. If I don't know what to do in a particular situation I ask my rabbi; if he doesn't know either he researches it, seeking authoritative rulings from other rabbis. We don't have the Great Assembly today, but if we did it would act as a sort of "supreme court". Individual Jews do study halacha and torah more generally. But we don't presume the authority to rule for ourselves or to decide in our own communities that, hey, we kind of like bacon so we're going to declare it kosher (or whatever). Halachic interpretation is based on established processes, processes that God gave Moshe on Sinai and that were passed down from there. Arguments such as those recorded in the talmud are the application of those processes which, like modern science, don't always produce only one interpretation. When the rabbis responded to the bat kol, the heavenly voice that had said "he's right", saying that the torah is not in heaven, God agreed with them and validated their process. Orthodox Judaism views rabbinic disagreements as differences of opinion regarding how to apply the divine principles given us by G-d, not arguing against any of them. Maimonides states in his Introduction to the Talmud that the Torah has three categories of laws: recieved, derived, and legislated. He says that every commandment that the Holy One, blessed be He, gave to Our Teacher Moses was given with its explanation. Sometimes this was different from the way that an uninformed reader might interpret it, or involved details not mentioned in the text, so it was necessary that this explanation be passed along with the text. This is the recieved law. However, not every detail in every possible situation was passed on. A system of 13 rules for deriving laws from the wording of the text was included in the explanation, so that the traditional explanation could be checked for transmission errors against the original text, and new details could be gleaned that were not stated explicitly. G-d so designed the text of the Pentateuch to lead to these conclusions by way of the special rules. Maimonides writes that there have never been rabbinic disputes regarding either of these first two categories. The third category is that the Pentateuch explicitly granted the rabbis the mandate to create legislation to safeguard and standardize the observance of the commandments. Legislation enacted on the basis of this mandate is binding by force of G-d's command as well, since it says to follow the rabbis' words whatever they will tell you. It is only in this area that disputes arise. Exodus 23:2 says not to follow the majority for evil, implying that if the majority position is valid, one should follow it. Rabbi Eliezer was able to get heaven to validate him because G-d had left the disputed question of law undecided and both sides of the dispute had valid arguments. Therefore, when Rabbi Eliezer refused to accept the majority vote, he was going against the stated will of G-d.
What is the "Oral Torah"? Why Can’t the Rabbis Agree on Anything? Not the answer you're looking for? Browse other questions tagged mesorah-tradition machlokes oral-torah . How does “eilu v'eilu” work out with an absolute truth? If there is only one oral Torah how do we reconcile different interpretations of a written verse? What was/is the leviathan as described in Tanach and Rabbinic literature? How can all the great rabbis' practices be accepted by Hashem?